Babes in the Wood murders: The story behind the new documentary. 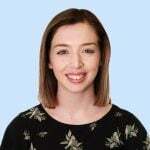 Content warning – This post discusses child sexual assault and may be triggering to some readers. On October 9, 1986, Nicola Fellows and Karen Hadaway went out to play after returning home from school. The nine-year-old girls, who lived in the same area in Brighton, England, often spent their afternoons playing in the local neighbourhood. But when the best friends failed to return to their homes by bedtime that afternoon, their parents began to panic. According to a sighting from a witness, it was believed that the young girls had ventured into local park Wild Park, where they were not allowed. Before long, hundreds of neighbours and locals descended on the park, scouring the local area for any sign of the two young girls. The next afternoon, the bodies of Nicola and Karen were found huddled together and hidden in a den-like area in the woods of the park. In a case that has became known as the Babes in the Woods murders, the schoolgirls had been sexually assaulted and strangled to death. Russell Bishop, a petty thief and jobbing roofer, was one of the many people who joined in on the search. Bishop, who played cricket with Nicola’s father, even took his dog out to join the search for the young girls. A memorial for Nicola Fellows and Karen Hadaway at Wild Park. Image: Getty. Speaking to police, Bishop claimed that he had felt the girls&apos; necks for a pulse after finding them dead. But in another interview with police, it was discovered that it was actually Kevin Rowland and Matthew Marchant who had first found the bodies. It was this lie that became Bishop&apos;s undoing. On December 3, 1986, Bishop was charged with the murders but after a disastrous trial, he was released. Just four years later, he was arrested once again – this time for the kidnap, indecent assault and attempted murder of a seven-year-old girl. This time, Bishop was charged and sentenced to life in jail for his crime. 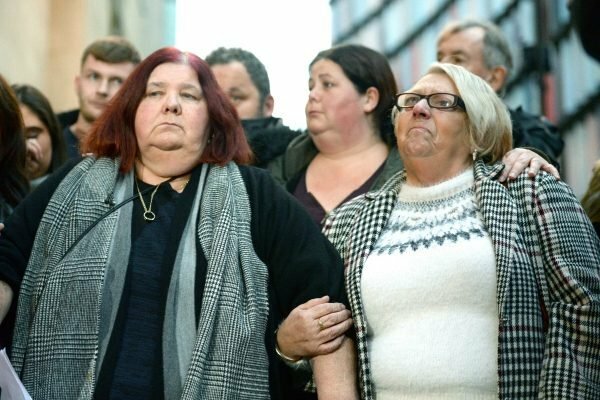 For Nicola and Karen, however, there was still no justice. 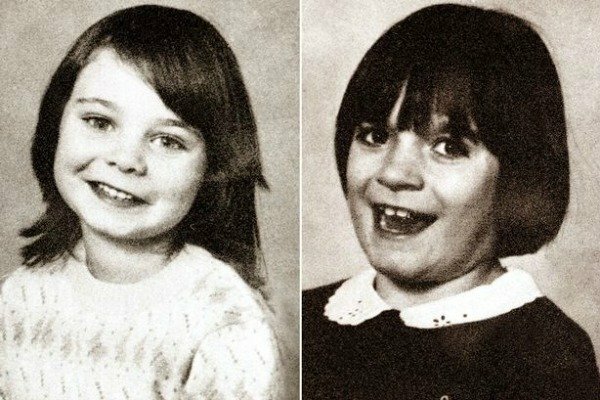 Now, new documentary The Babes in the Wood Murders is sharing how the families of Nicola and Karen finally sought justice for their young girls in 2018. In December 2018, following an extensive re-investigation of forensics, Bishop was charged with the murder of Nicola and Karen, and he was sentenced to two life sentences. Michelle Hadaway, the mother of Karen Hadaway and Sue Eismann the mother of Nicola Fellows. Image: Getty. It&apos;s unlikely he will ever leave prison. In the documentary, Nicola&apos;s parents spoke about the moment their daughter had been killed. "I thought &apos;she&apos;s in somebody&apos;s house&apos; but no she wasn&apos;t. Then someone told us they&apos;d seen her over at the park. She would never go over the park," Nicola&apos;s mother Susan said. "My son was on the search the next day. He said &apos;she&apos;ll be home, mum&apos;. I said &apos;I don&apos;t know&apos;. I was really panicking. Thinking where she was, was she cold or wet?" Nicola&apos;s father Barrie also described the moment justice was finally served. "It&apos;s made me believe in justice," he said. "Some people won&apos;t believe the truth until it&apos;s right there, right in their face," he added. 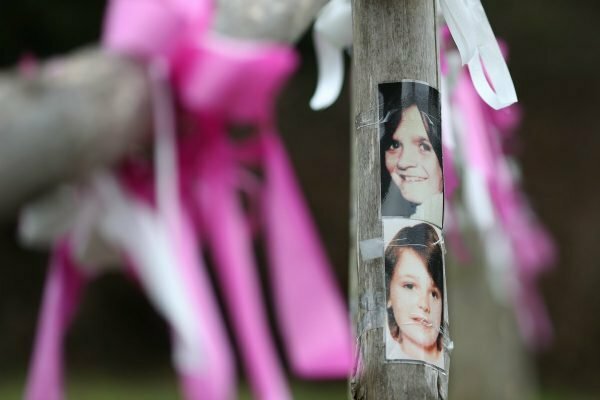 "This is the truth, and the truth is he murdered two little girls. He tried to murder another little girl. He&apos;s now wallowing in prison, where he would be." The Babes in the Wood Murders airs tonight on Channel Seven at 9.30pm.